An ancient Babylonian tablet whose purpose has been a longstanding mystery reveals that the ancient Mesopotamian civilization beat the Greeks to the discovery of trigonometry by more than 1,000 years, researchers say—and their methodology might even hold lessons for modern-day mathematicians. The tablet, Plimpton 322, was discovered in the early 1900s in present-day Iraq, according to phys.org, and researchers have puzzled over its function ever since. It displays four columns and 15 rows of numbers in the contemporary cuneiform script composed in a base 60, or sexagesimal, system. Dr. Daniel Mansfield, of the School of Mathematics and Statistics in the University of New South Wales (UNSW) Faculty of Science, Sydney, says his research has unearthed the tablet’s true meaning. His paper, co-authored with UNSW Associate Professor Norman Wildberger, was published in Historia Mathematica. 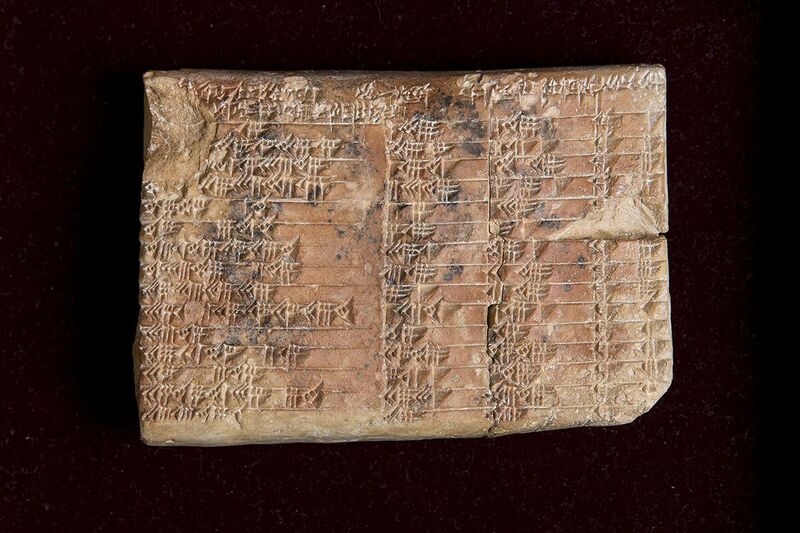 "The huge mystery, until now, was [Plimpton 332’s] purpose—why the ancient scribes carried out the complex task of generating and sorting the numbers on the tablet,” he wrote. "Our research reveals that Plimpton 322 describes the shapes of right-angle triangles using a novel kind of trigonometry based on ratios, not angles and circles. It is a fascinating mathematical work that demonstrates undoubted genius,” Mansfield continued. The calculations may have been used for architectural calculations when building pyramids or other structures. In a video promoting the discovery, Mansfield said the 60-base system used by Babylonians could potentially influence the way we use mathematics today, as it can facilitate more precise division. “It’s rare that the ancient world teaches us something new,” he said. Mansfield came across Plimpton 322 unexpectedly, when gathering material for his first-year students at UNSW. He and Wildberger wanted to look into Babylonian mathematics and explore the different historical interpretations of the tablet's meaning when they noticed it had parallels to rational trigonometry theories found in Wildberger's book Divine Proportions: Rational Trigonometry to Universal Geometry.